In the interpretation of these Articles, unless there is something in the subject or context inconsistent therewith, the following words and expressions shall have the following meaning:- "Board" means the board of directors of the Company. "Company" means the company registered as "HARVARD CLUB OF HONG KONG LIMITED 哈 佛 大 學 香 港 校 友 會 有 限 公 司 ". "Directors" means the directors of the Company as appointed from time to time by the Company. "Ordinance" means the Companies Ordinance, Chapter 622 of the Laws of Hong Kong. "President" means the President of the Board. "Secretary" means the secretary of the Company as appointed from time to time by the Company. Words importing the masculine gender also include the feminine and neuter genders. The number of members of the Company shall be unlimited. The first members of the Company shall be the subscribers to the Memorandum of Association and these Articles. 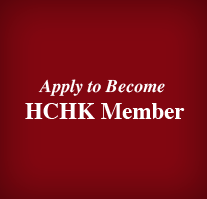 An individual can be associated with the Company as (a) a Member, (b) Associate, or (c) Friends of the Harvard Club of Hong Kong (“Friends of Harvard” or “FOH”) if he/she meets the respective eligibility requirements. An individual of any nationality is eligible to be a Member if he/she(a) is a degree holder or honorary degree holder from Harvard University, or (b) has attended non-degree programs offered by Harvard University and, as determined by the Board in its sole discretion, has provided, and is reasonably expected to continue to provide, substantial and valuable services to the Company. There are five sub-categories of Members, namely Recent Graduates (graduated within the last two years), Annual, Biennial, Lifetime and Patron, with different subscription fee levels to be determined by the Board from time to time. Only Members shall have a right to vote at any Meeting of the Company and shall be eligible to become Directors. An individual is eligible to be an Associate if he/she is not qualified as a Member in accordance with Article 5 above but (a) has attended a non-degree program offered by Harvard University involving a minimum duration of six (6) weeks in residence at Harvard University or (b) as determined by the Board in its sole discretion, (i) otherwise has had a significant affiliation with Harvard University consistent with the objectives of the Company, including, without limitation, as Fellows or Visiting Scholars or (ii) has provided valuable services to the Company. There are three sub-categories of Associates, namely Annual, Biennial and Lifetime, with different subscription fee levels to be determined by the Board from time to time. Associates shall not have a right to vote at any Meeting of the Company and shall not be eligible to become Directors. 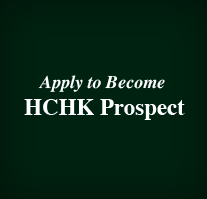 a current student who will be eligible to become a Member or an Associate upon graduation. The individuals in clauses (i) and (ii) above will need to give consent before the Parent-FOH application can be considered by the Board. Spouse - Friend of Harvard: An individual is eligible to become Spouse - Friend of Harvard if he/she isthe spouse or significant other of a Member or an Associate. The Company has discretion to require documentary proof of the spousal relationship or its equivalent with respect to a significant other. Student - Friend of Harvard: An individual is eligible to become a Student - Friend of Harvard if he/she is a current student at Harvard University and will be qualified to apply as a Member upon graduation. 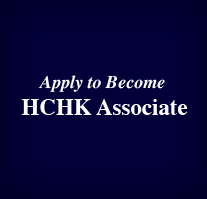 Upon graduation, the Student-FOH status would cease and the individual would need to submit a new application to join the Company as a Member. Those individuals who have heretofore been referred to as “‘Friends of Harvard” shall henceforth become and be referred to as (a) “Members” if they are so qualified in accordance with Article 5 above, or (b) “Associates” or “Friends of Harvard” as appropriate, if they are not so qualified, effective at the time of their first renewal of membership with the Company hereafter. Pending such transition, Friends shall continue to have no right to vote at any Meeting of the Company or to become Directors. While giving due regard to the foregoing Articles 5 to 8, the Board shall have the full and ultimate discretion as to the admission of any individual as a Member or other levels of association with the Company. The subscription fees payable by Members, Associates and Friends shall be determined by the Board from time to time and shall be posted on the Company’s website. A Member whose payment of subscription fees is current is entitled to run for the Board of the Company. Any Member, Associate or Friend whose subscription fee has not been paid in the next payment cycle shall ipso facto cease to be a Member, Associate or Friend, as the case may be, of the Company but may, in the discretion of the Board, be readmitted to Membership, Associateship or Friendship. Any Member, Associate or Friend may withdraw from the Company by giving one month's notice in writing to the Secretary of his intention so to do. If any Member, Associate or Friend violates any of these Articles or if his conduct in or out of the Company shall in the opinion of the Board be injurious to the character or interests of the Company or be derogatory to the status of any other Member, Associate or Friend in society, it shall be the duty of the Board to invite such individual complained of, by letter, to give an explanation of his conduct and to appear before a meeting of the Board convened to consider his case. If he cannot explain his conduct to the satisfaction of the Board, the Board shall call upon him to withdraw, and should he not do so within a week, his name shall be erased from the register of the Company and he shall ipso facto cease to be a Member, Associate or Friend, as the case maybe, of the Company, provided always that the decision calling upon him to withdraw shall be supported by at least two-thirds of the Board present at such meeting or by proxy. Any Member, Associate or Friend who has withdrawn from the Company shall forfeit all rights in and claims upon the Company and its property. A General Meeting shall be held once every calendar year at such time and at such place as may be prescribed by the Board in accordance with the requirements of the Hong Kong Companies Ordinance. The above-mentioned General Meeting shall be called Annual General Meeting; all other General Meetings shall be called Extraordinary General Meetings. The Board may, whenever it thinks fit, convene an Extraordinary General Meeting, and an Extraordinary General Meeting shall also be convened on the requisition in writing of not less than five (5) Members having the right to vote. Subject to the provisions of Section 564 of the Ordinance relating to special resolutions, 14 clear days' notice at the least specifying the place, the day and hour of the meeting and, in the case of special business, the general nature of that business, shall be given to such persons who are, under these Articles, entitled to receive such notice from the Company; but with the consent of all the Members entitled to receive notice of any particular meeting, that meeting may be convened by such shorter notice and in such manner as these Members shall think fit. The Company may give notice of a general meeting or extraordinary general meeting by mail, e-mail, posting on website of the Company. The accidental omission to give notice of a meeting to, or non-receipt of any notice of a meeting by, any Member shall not invalidate the proceedings at any meeting. All business shall be deemed special that is transacted at an Extraordinary General Meeting and all those transacted at an Annual General Meeting with the exception of the consideration of the accounts, balance sheet, and the annual report of the Directors and Auditor, the election of the Directors and the appointment of the Auditor and the fixing of their remuneration. No business shall be transacted at any General Meeting unless a quorum of Members is present at the time when the meeting proceeds to business. Save as herein otherwise provided, ten (10) Members present shall be a quorum. Members may attend the General Meeting in person or by proxy. A Member who wishes to appoint a proxy to attend and vote at the General Meeting on his behalf must issue a proxy appointment letter in the form prescribed by the Board, and such proxy appointment letter must reach the President or Co-President no later than 5 pm on the business day prior to the scheduled date of the Meeting. If within half an hour from the time appointed for the meeting a quorum is not present, the meeting, if convened upon the requisition of Members, shall be dissolved; in any other case it shall stand adjourned to the same day in the next week, at the same time and place, and if at the adjourned meeting a quorum is not present within half an hour from the time appointed for the meeting the Members present shall be a quorum. The President (or, as the case may be, a Co-President) shall preside as chairman at every general meeting of the Company. If at any meeting the President is not present (or, as the case may be, neither Co-President is present) within thirty minutes after the time appointed for holding the meeting or is unwilling to act as chairman, the Members present shall choose someone of their number to be chairman of the meeting. The chairman may, with the consent of any meeting at which a quorum is present (and shall if so directed by the meeting), adjourn the meeting from time to time and from place to place, but no business shall be transacted at any adjourned meeting other than the business left unfinished at the meeting from which the adjournment took place. When a meeting is adjourned for ten days or more, notice of the adjourned meeting shall be given as in the case of an original meeting. Save as aforesaid it shall not be necessary to give any notice of an adjournment or of the business to be transacted at an adjourned meeting. Every matter to be resolved at a General Meeting shall be determined by a majority vote of the Members, each Member having one vote, and the chairman having in addition to his own vote a second or casting vote only in case of a tie vote. A declaration by the chairman that a resolution has, on a show of hands, been carried unanimously or by a particular majority, or lost, and an entry to that effect in the book of the proceedings of the Company, shall be conclusive evidence of the fact, without proof of the number or proportion of the votes recorded in favour of or against that resolution. No Member shall be entitled to vote, either in person or by proxy, at any meeting unless all moneys presently payable by him to the Company have been paid. The Seal of the Company shall not be affixed to any instrument except by a resolution of the Board and in the presence of such person or persons as the Board may appoint for the purpose and such person or persons shall sign every instrument to which the Seal of the Company is so affixed in his or their presence. The management of the affairs, administration and business of the Company shall be vested in the Board who may exercise all such powers and do all such acts and things as the Company is by its Articles and these presents or otherwise authorised to exercise or do and are not hereby or by the Ordinance required to be exercised or done by the Company in general meeting but subject nevertheless to the provision of the Ordinance and of these presents and to any regulations (not being inconsistent with these presents) from time to time made by the Company in general meeting; provided that no such regulation shall invalidate any prior act of the Board which would have been valid if such regulation had not been made. The first Directors shall be nominated by the subscribers to the Articles of Association. The Board shall consist of not less than two (2) and not more than fifteen (15) directors. The incoming Board shall hold its first meeting as soon as practicable, but in any event within three (3) weeks after the Meeting that elected such Board. To the extent that any matter of the Company needs to be dealt with by the Board prior to such first meeting of the incoming Board and the matter could not reasonably be deferred to such first meeting, then the outgoing Board shall be authorised to deal with such matter in the best interest of the Company with prior consultation with the majority of the incoming Board. Members of the Board shall elect a President or two Co-Presidents, Secretary, Treasurer and may elect other officers as deemed appropriate by the Board. The Board may elect up to two officers for each of the officer’s position aforementioned as deemed appropriate, namely Co-Presidents, Co-Treasurers, Co-Secretaries. The election of Officers should take place at the first meeting of the newly elected Board to be held in compliance with Article 33(a) above. The President (or each Co-President, as the case may be) must be a holder of a Harvard degree. The same person shall not hold the office of the President (or Co-President, as the case may be) for more than two (2) consecutive terms, provided that the majority of the Board (not counting that person, who shall not vote on this matter) may elect to waive such term limit for such person, with such waiver to be required for each consecutive term following the first two (2) terms. The outgoing Board shall provide all reasonable assistance to the incoming Board, including by way of having sub-group meetings, to facilitate the administrative and other transitional matters, including the proper handover of the books, records, manuals, funds, other property and arrangements, and thus enable the incoming Board to hold its first meeting as soon as practicable as contemplated by Article 33(a). The Board shall have the power at any time to appoint a person to fill any vacancy on its body and any person so appointed shall be subject to retirement at the time at which the Director in whose place he is so appointed would have been subject to retirement had he remained in office. The Company may by ordinary resolution remove any Director before the expiration of his period of office and may by ordinary resolution appoint another person in his stead. The person so appointed shall be subject to retirement at the same time as if he had become a Director on the day on which the Director in whose place he is appointed was last elected a Director. The Board may meet together for the dispatch of business, adjourn and otherwise regulate their meetings and business as it may think fit. The President (or a Co-President), or in the absence of the President or Co-Presidents, as the case may be, shall preside at meetings of the Board. No business shall be transacted a any meeting of the Board unless at least the majority of Directors are present. Questions arising at any Board meeting shall be decided by a majority vote and in case of an equality of votes the chairman of the meeting shall have a second or casting vote. The continuing Directors may act notwithstanding any vacancy in that body but if and so long as the number is reduced below the number fixed by or pursuant to the regulations of the Company as the necessary quorum of Directors, the continuing Directors may act for the purpose of (a) filling up vacancies in their body or (b) summoning a General Meeting of the Company, but for no other purpose. The Board may, if it thinks fit, transact any of its business by the circulation of papers, and a resolution in writing signed by a majority of the Directors thereof shall be valid and effectual as if it has been passed at a meeting of the Board. A Director may not receive any salary from the Company but he shall be indemnified out of the funds of the Company in respect of travelling and other expenditure properly incurred in and about the affairs of the Company. Except as provided in Article 45 a meeting of the Directors for the time being at which a quorum is present shall be competent to exercise all the authorities, powers and discretion by or under the regulations of the Company for the time being vested in the Board generally. The Board may, from time to time, appoint such committees as it considers necessary for securing the efficient discharge of its functions and may delegate to any committees its powers and duties provided that no delegation made hereunder shall preclude the Board from exercising or performing or resuming at any time any of the powers and duties so delegated. Any Member of the Company may be appointed a member of any committee provided that the chairman of such committee must be a Director. Any committee so appointed shall, in exercise of the powers so delegated, conform to any regulations that may be imposed on it by the Board. Without limiting the generality of the foregoing, the Board shall appoint the nominating committee, from time to time, for the purpose of recommending a slate of Director candidates to the Board and at the General Meeting. The nominating committee shall consist of three Directors, namely the President and two other Directors selected by the Board, or the Co-Presidents and one other Director selected by the Board, as the case may be. All acts done by any meeting of the Board or a committee or by any person acting as a member of the Board or committee shall, notwithstanding that it is afterwards discovered that there was some defect in the appointment of any such member of the Board or committee or persons acting as aforesaid, or that they or any of them were disqualified, be as valid as if every such person had been duly appointed or qualified to be a member of the Board or committee. of all the resolutions and proceedings at all meetings of the Company and of the Board and of committees of the Board. The Board shall cause proper books of account to be kept with respect to all sums of money received and expended by the Company and the matters in respect of which the receipt and expenditure takes place and the assets and liabilities of the Company. The books of account shall be kept at the Registered Office of the Company or at such other place or places as the Board thinks fit, and shall always be opened to the inspection of the Directors. The Board shall from time to time determine at what times and places and under what conditions or regulations the accounts and books of the Company or any of them shall be open to the inspection of persons not being Directors and no person (not being a Director) shall have any right of inspecting any account or book or document of the Company except as conferred by statute or by the Memorandum of Association or authorised by the Board or by the Company in general meeting. The Board shall from time to time, in accordance with Section 429 of the Ordinance, cause to be prepared and to be laid before the Company in General Meeting such income and expenditure accounts, balance sheets and reports as are referred to in that section. A copy of every balance sheet (including every document required by law to be annexed thereto) which is to be laid before the Company in General Meeting together with a copy of the Auditor's Report shall not less than seven days before the date of the meeting be sent to all persons entitled to receive notice of General Meetings of the Company. The Treasurer shall receive all subscriptions and all other moneys coming into the Company. He shall pay into a bank to be named by the Board all money received by him. Receipts issued by the Treasurer shall be the only acceptable evidence of receipts issued by the Company. All cheques shall be co-signed by any two (2) of the Directors who are designated as authorised signatories of the Company by the Board from time to time. Auditors shall be appointed and their duties regulated in accordance with Sections 393 to 428 and 575 of the Ordinance. Every Director, officer or other servant of the Company shall be indemnified out of the funds of the Company against all liability incurred by him as such Director, officer or servant in defending any proceedings, whether civil or criminal, in which judgement is given in his favour, or in which he is acquitted or in connection with an application under section 902 to 904 of the Ordinance in which relief is granted to him by the Court. The Board may from time to time by resolution appoint or remove a Secretary. In the event that the Secretary appointed is a corporation or other body, it may act and sign by the hand of any one or more of its directors or officers duly authorised. The first Secretary shall be BERNARD YAT NGA CHANG. Dated the 15th day of September, 2001. S. K. Lam, Alfred Chan & Co.